Vimeo has introduced a couple of new social distribution tools that could actually make a big difference for content creators who have a wide footprint across many channels. 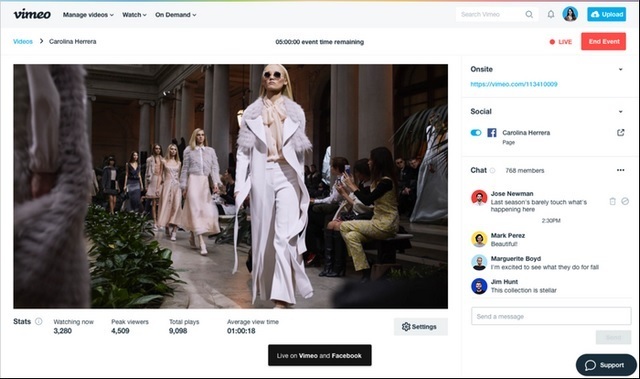 The video streaming platform wants has added a native video publishing and live streaming tool that allows you to post to multiple social media platforms simultaneously, thus eliminating the process of uploading or streaming to one platform alone. The tool should also simplify the experience of managing and distributing videos for these content creators. The newly added ‘Publish to Social’ tool will let users publish a video on multiple platforms just like any native post with a single click. Vimeo has started with support for YouTube and Facebook for this uploading feature. Content creators don’t have to access the respective platforms individually to upload the video. It’s not about a simple upload either, creators can monitor views and track the popularity of these videos on the third-party platforms straight from Vimeo’s dashboard. Vimeo is also working on adding support for more platforms to the tool. 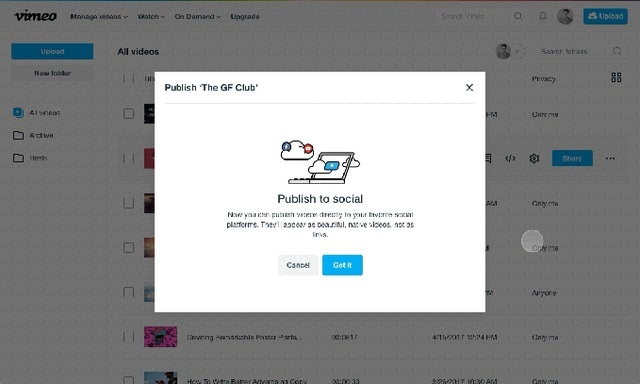 The ‘Publish to social’ tool is now live for all users who have subscribed to Vimeo’s Plus, Pro, Business and Live plans. The simultaneous streaming (‘Simulcast‘) tool will let users stream their live videos from Vimeo to a host of other platforms like Facebook, YouTube, Twitch, and Periscope to name a few. The new feature will not only help users gain a wider audience across different platforms, but will also save bandwidth costs by streaming from a single input point rather than using a separate stream for each destination. The Simulcast feature will be available to users who have subscribed to Vimeo’s Live plans. As soon as the live stream ends, the broadcasted event will automatically be archived in the form of a high-quality video, which can be downloaded and shared by users later on. Overall, the new changes are lGikely to increase the popularity and use-cases for Vimeo’s paid offerings for those creators who are already using them. But future sign-ups will depend on how reliable the Simulcast feature is and whether there will be any limitations on analytics.